sixth most spoken language around the world – not a small feat, considering that there are over 7,000 living languages on our planet. Starting today, we’re making it much easier for the over 200 million Bengali speakers to search for things they care about. When someone conducts a search, they want an answer, not trillions of webpages to scroll through. 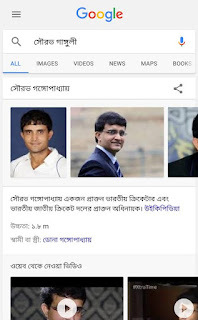 To help Bengali speakers discover new information quickly, we’re now making the Google Knowledge Graph available in Bengali language. 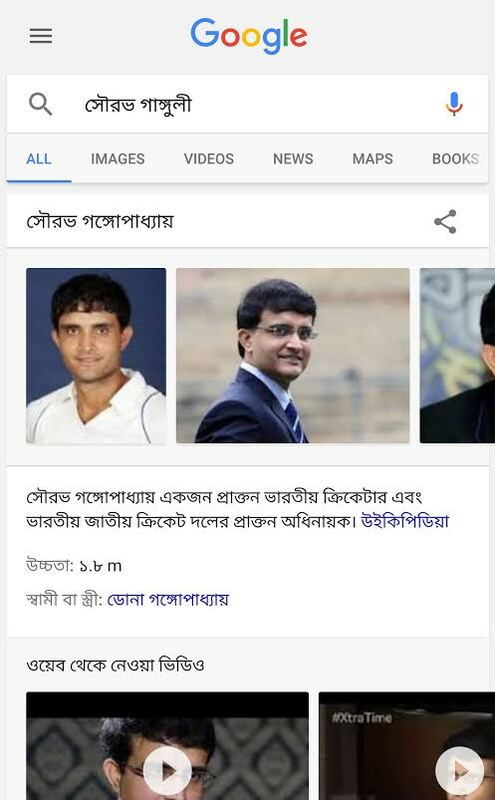 So next time when you’re searching for cricket legend Sourav Ganguly in Bengali, we’ll show you things, not strings – and you’ll instantly get information that’s relevant to your query such as Sourav’s date of birth, his number as an active cricket player, or links to his profile on social media. The Knowledge Graph enables you to search for things, people or places that Google knows about—landmarks, celebrities, cities, sports teams, buildings, geographical features, movies, celestial objects, works of art and more. It’s not just rooted in public sources such as Freebase, Wikipedia and the CIA World Factbook, it’s also augmented at a much larger scale—because we’re focused on comprehensive breadth and depth. The Knowledge Graph is currently available in 41 languages, mapping out how more than 1 billion things in the real world are connected, and over 70 billion facts about them. And it’s tuned based on what people search for, and what we find out on the web, improving results over time. Search is a lot about discovery–learning something new about the world, having fun, and getting inspired. But especially when you’re on the go or in a rush, it’s all too easy to misspell that thing you were searching for. To help you get answers even when you misspelled a word, we now support spell correction for Bengali queries. So whenever a typo made its way into your search query, we’ll be there to help, suggesting similar queries. 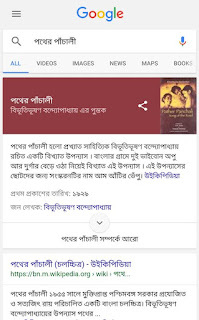 We’ve begun to gradually roll-out the Knowledge Graph in Bengali to users around the world. 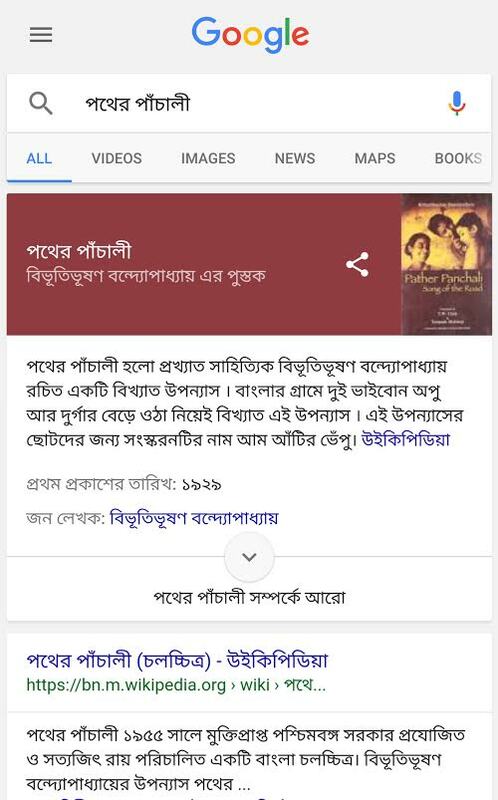 We hope that this update, together with the spell correction in Bengali, will make Search an even better experience for the millions of Bengali speakers around the world. Bengali is the sixth most spoken language around the world – not a small feat, considering that there are over 7,000 living languages on our planet. Starting today, we’re making it much easier for the over 200 million Bengali speakers to search for things they care about.